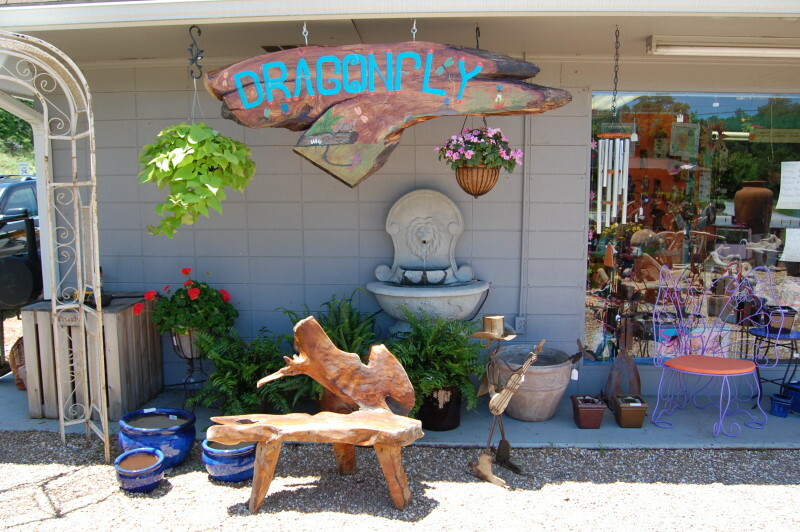 Cindy’s Dragonfly is owned and operated by Cindy and Tim Brantley. 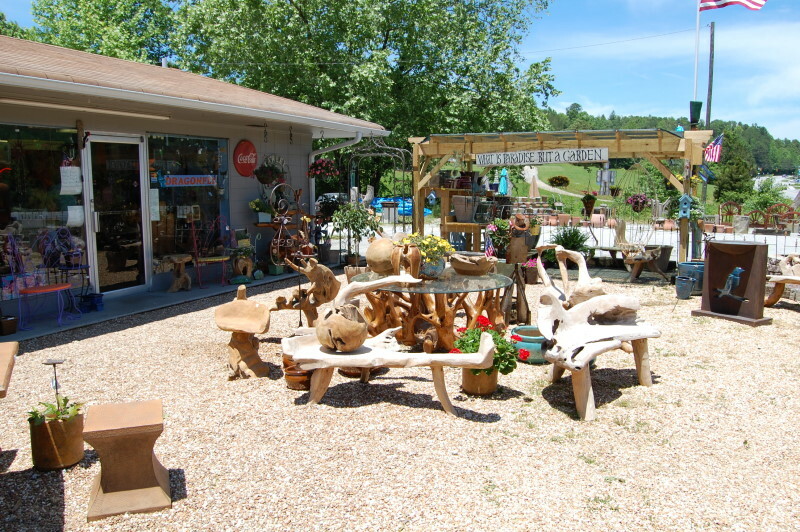 According to Cindy, they bring the “unique” to your home and garden landscape. 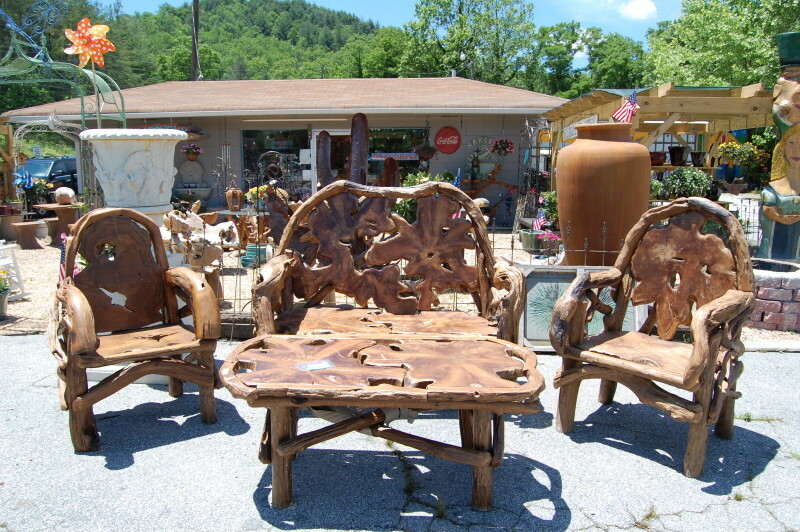 • Teak: (one of the toughest woods in the world)…benches, chairs, tables, loveseats, vases, spheres and flowers. • Ornamental Iron: entrance arbors, swings, butterfly chairs, birdhouses, plant hangers, dragonflies, hummingbirds and butterflies. • Seabu: a glass fiber reinforced cement that is 70% lighter than concrete and far more durable! It ages nicely and is available in oversized pots, urns, jars, bird baths, bistro sets, picnic tables, wall art and candleholders. We have many styles and colors of pots for you to choose from. 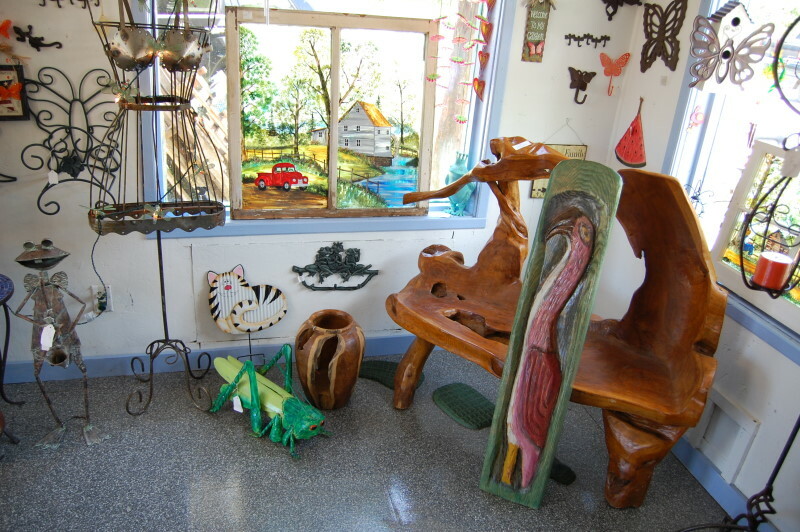 LOCAL ARTISTS’ WORKS ARE ALSO AVAILABLE –WITH MORE TO COME!